Title: Tides Out I - This is an original painting by U.K watercolour and soft pastel artist Greg Howard. 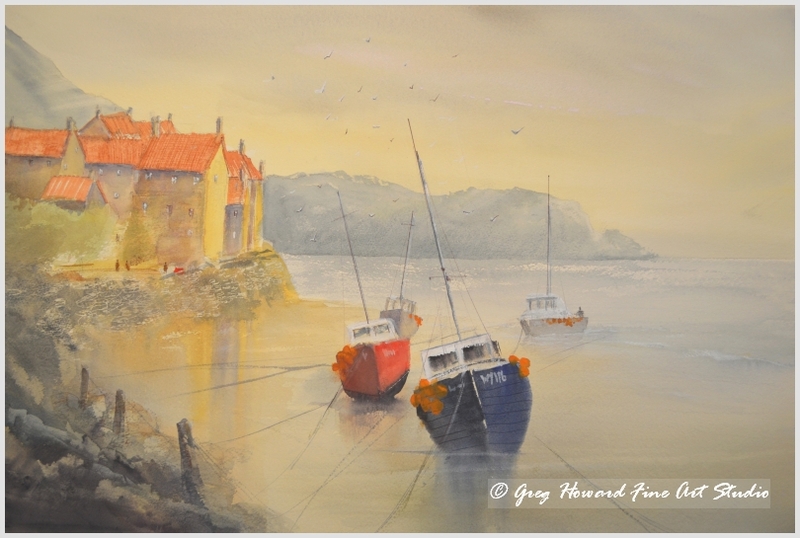 Title: Tides Out I – This is an original painting by U.K watercolour and soft pastel artist Greg Howard. Another fictional seaside scene. This painting has been so many different places now that I have lost count but that is the idea with my work. If you think you have been there before then you get it! I wanted this to be a calm, tranquil scene which I have achieved by using soft, iridescent washes in the sky and complimenting them by carrying the same wash on down into the beach. The long reflections on the wet sand also add to the feeling of calm. The original watercolour painting is 680mm x 480mm. Be the first to review “Tides Out I” Click here to cancel reply.